‘Personal information’ means any information or opinion about an identified, or reasonably identifiable, individual. ‘Sensitive personal information’ means any information or opinion about an individual’s racial or ethnic origin, political opinion or association, religious beliefs or affiliations, philosophical beliefs, sexual preferences or practices, trade or professional associations and memberships, union membership, criminal record, health or genetic information and biometric information or templates. 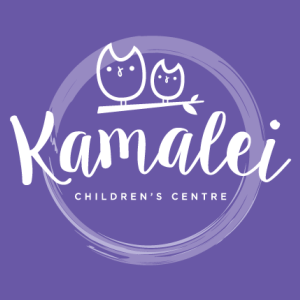 The collection of personal information by us at Kamalei Children’s Centre PTY LTD (the service provider) is solely for the purposes of assessing your application for a childcare place at Kamalei Children’s Centre. If the relevant personal information requested in the attached application form is not provided by you, we will be unable to assess your eligibility to access care at our service or your eligibility for any available childcare assistance support or funding that may be, or become, available. The information that you provide us may be disclosed to relevant National or State based agencies for regulatory or compliance purposes provided the disclosure is consistent with relevant laws, in particular the Privacy Act 1988. We may also provide the information to third parties who provide services to us like educational service and resource providers or outsourced services such as child Care Benefit process. All personal or sensitive information you entrust to us will be used, stored or disposed of as necessary in accordance with the Privacy Principles. By completing and submitting this form you consent to the collection of all personal information, including sensitive personal information, contained in the attached form. Contact us about your personal information or if you want to make a complaint. Copyright © Kamalei Children Centre 2018. All Rights Reserved.